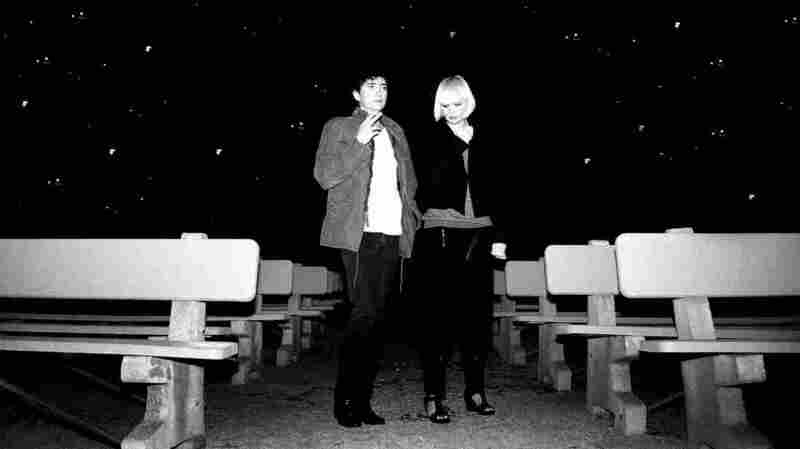 The Raveonettes: The Sound Of Surfing In The Rain The Danish-born rock duo has settled in New York and Los Angeles, but its members say they still view America through the eyes of voyeurs. The band's new album is titled Observator. The Raveonettes is the Danish-born duo of Sune Rose Wagner and Sharin Foo. The band's new album is titled Observator. For more than a decade, The Raveonettes' members have been making albums filled with fuzz-guitar feedback and tight girl-group harmonies. The duo's latest album, Observator, takes on a different sound, thanks in part to its embrace of a new instrument. The Danish musicians behind The Raveonettes are Sharin Foo, who sings and plays bass, and Sune Rose Wagner, who sings, plays guitar and writes the songs. The two recently spoke with NPR's Linda Wertheimer about the ups and downs of collaborating long distance (Foo lives in L.A., Wagner in New York), chatting up interesting strangers and the reasons for all the piano sounds in Observator. Wagner: "I came out there sort of looking for inspiration, I guess. At the time, I definitely regretted it and thought it was a terrible move. ... To me, Los Angeles was always the end of the road. When I used to take road trips from New York to L.A., those were always the most nostalgic and saddest ones because I saw the sun drown in the horizon. I knew that was where I was going: where the sun went down." Foo: "I was trying to tell Sune that Venice Beach is not really where you go find inspiration these days. [Laughs.] Someone once told me that The Raveonettes sounds like someone surfing, but it's raining, which I always thought was a very accurate description. When you come to L.A., you can look at this environment, but you always view it from the point of view that we have, which is we come from Scandinavia. The combination of our DNA, and then being somewhere that's so exotic and different — that's what I think makes up that interesting sound that The Raveonettes has: the combination of Scandinavia, and then this kind of voyeuristic approach to Americana." On what inspired the song and video "She Owns the Streets"
Wagner: "I was at Madison Square Garden, and [during] the intermission, people go to the bar and they go talk to their friends. All of a sudden, in the middle of that space was this girl just dancing by herself. It was just such a crazy sight. ... I met up with her a few days after that. We had lunch, and she told me her story: how she loves dancing and got kicked out of all clubs in New York because of jealous girlfriends — the guys kind of like her. There's no place for her to go and just dance, so she took to the streets. She's been dancing in the streets for years."